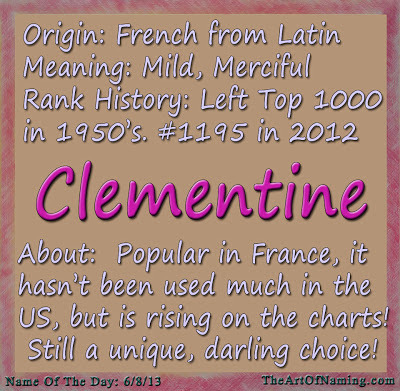 Today's featured name is Clementine. It originates as the French feminine form of the male name Clement, which is derived from the Late Latin name Clemens or Clementius, meaning "merciful," "gentle" or "mild." If the "Oh my Darlin'" association is too strong for you, try pronouncing it as Cle-mahn-teen instead as the French do. Alternatively, try Clementina. This spelling originates with Italian, Late Roman, Portuguese and Spanish. The Polish Klementyna is neat too if you have Polish roots! 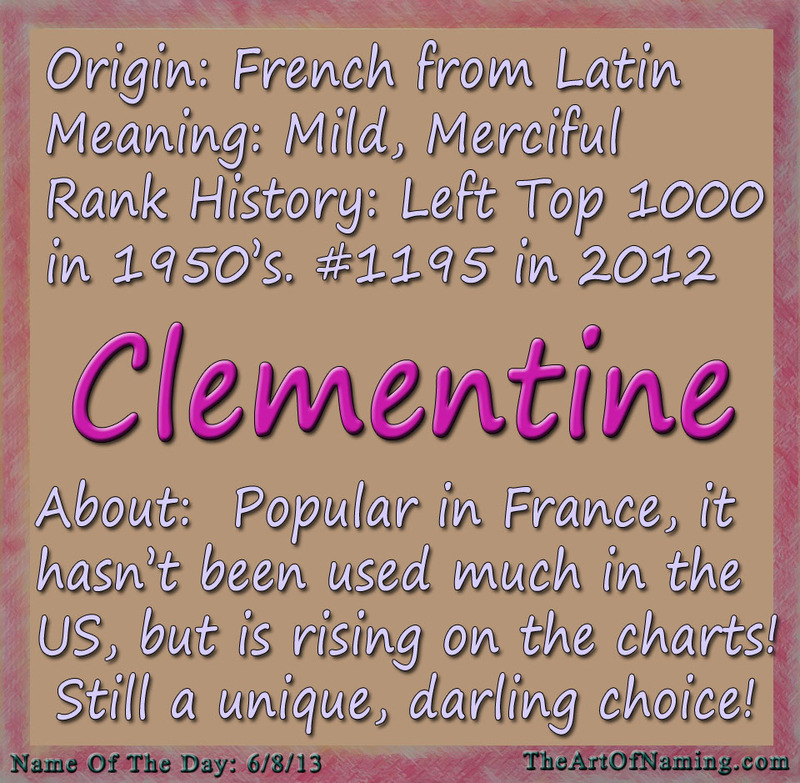 Personally, I think Clementine would make a lovely middle name. (i.e. Amelia Clementine or Ivy Clementine). It has the beautiful, French flair and is still rather unique! Clementine was a darling on the charts in the 1920s-1950s. 1921 was Clementine's best year for number of births. 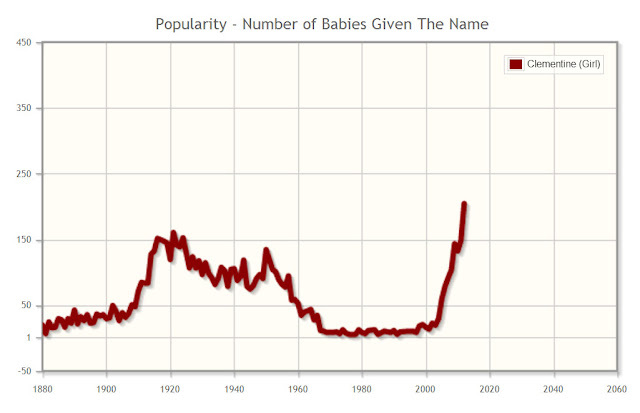 There were 160 girls born which ranked the name at #567 at the time. It went up and down on the charts for a while and actually had a few years in the 70s and 80s where the name wasn't used at all, but it is on an upswing again. 221 girls were named Clementine in 2013 for a ranking of #1100. Share your thoughts on this name in the comments below!